If you’ve ever walked the streets of Berlin, you were probably struck by the abundance of versatile artistic creations, which embellish the walls of the city. Proudly carrying the title of a “street art capital” Berlin is a city covered in art, from its pavements to the rooftops. This is probably why strolling through Berlin’s streets resembles the feeling of walking through a gallery or a museum. The walls of the German capital contain such a quantity of street artworks that the city may qualify as an outdoor museum. Furthermore, the quality of works made by some of the most notable artists on the scene would make it one of the best of its kind. As if the metaphor of a largest outdoor museum isn’t enough, Berlin will in the following years become a host to its first genuine museum dedicated solely to street and urban art. Scheduled to open in 2017, Museum for Urban Contemporary Art will provide a forum for the history and development of this popular artistic form in the city praised for its rich and vibrant street art scene. Before we move to the story of Berlin’s first museum of street and urban art, let us stop for a while, and ponder the idea of a street art museum first. To some, this may look like an ironic turn of events, and rightly so. Today, it is not unusual to see street artists creating in studios and making works to be exhibited in the gallery environment. Street and urban art are also the rising forces on the contemporary artworks market, and we are no longer surprised when murals get detached from the streets to be sold at auctions, or when works by the leading artists pass into the hands of elite collectors, willing to pay millions to obtain them. But it is only the last fifteen years or so. Along with graffiti, street art emerged as a rebellious artistic practice, hostile to art institutions. The main idea that lies at the heart of street art is that art belongs to everyone, and not only a handful of people who visit galleries and museums. The ephemeral works on the streets were to communicate messages in-situ to all members of the community, art and non-art audiences alike. So when street art made a crossover to the gallery environment, many were wondering if the event marked the death of an era, with the primary question being – Is it street art if it’s not made on the streets? The same can be said about the idea of a street art museum. If street art functions as an ephemeral and transitory art form, then does the notion of keeping it in a museum go against its nature. The debate has been heating up as the movement grew, gaining the international following, and reaching the status of an industry. To old school fans, the transit of street art into galleries and museums might look frightening, but, one the other hand, we have to admit that street art is now much more than it was in the past. So, instead of wondering if it’s still street art if it’s not on the streets, we should ask how street and urban art might benefit from these museum initiatives. The idea of a street art museum has been catching on in recent times, in many cities across the globe. In New York, a group called the Street Museum of Art (SMoA) initiated a project of guerrilla curating in 2012, in order to re-evaluate the current model for contemporary art museums and explore the unique relationship street artists share with their urban environments. Similar to the curated tours SMoA has been running on the streets in New York, Amsterdam’s Street Art Museum also provides a walking tour of more than thirty murals commissioned for the venture, and in Lisbon’s Bairro Alto neighborhood the Ephemeral Museum was created in order to showcase the best of national and international street art. 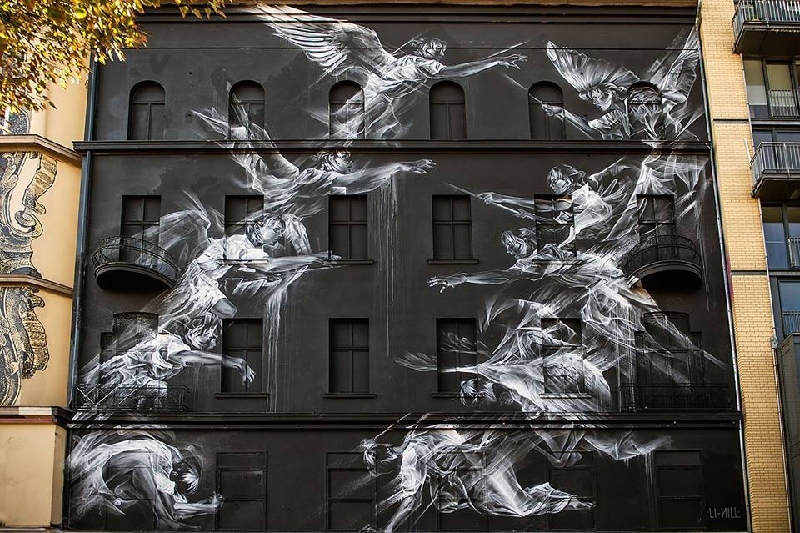 So far, St Petersburg went furthest in developing a street art museum in the truest sense of the word, with a permanent exposition of works, hosted within the building walls. New Jersey’s Mana Contemporary announced the project of similar extent in 2014, but the initiative to create a permanent home for the collection of street art was later abandoned. In all these cases, the aim was not to tame the free spirit of street art expression but to support the artists through residency programs, initiate communal participation, and provide an educational platform for those interested in this particular art form. The emergence of street art museums is therefore not signifying the end of street art, as some may be concerned, but also contributing to the movement. 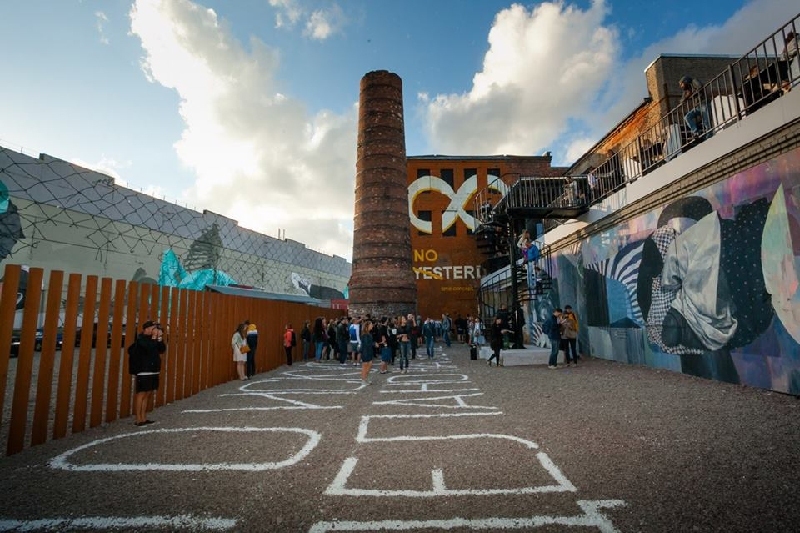 As it was announced recently, Berlin will soon join the list of cities that host these unique street art venues. The Museum for Urban Contemporary Art, scheduled to open in 2017, will be the first formal institution dedicated to street art in the German capital. The initiative came from Urban Nation, cultural foundation led by curator Yasha Young. For many years, Urban Nation has been supporting and organizing various urban art projects in Berlin and worldwide, becoming one of the major partakers in the international urban art scene. In their ongoing efforts to enrich urban spaces of the cities, the Museum for Urban Contemporary Art is possibly the most ambitious one. The support and a generous €900,000 grant for the museum came from Berlin Lotto Foundation, known for promoting social, cultural, environmental and charitable projects. So far, the details are kept secret and precise information can be expected no earlier than May. 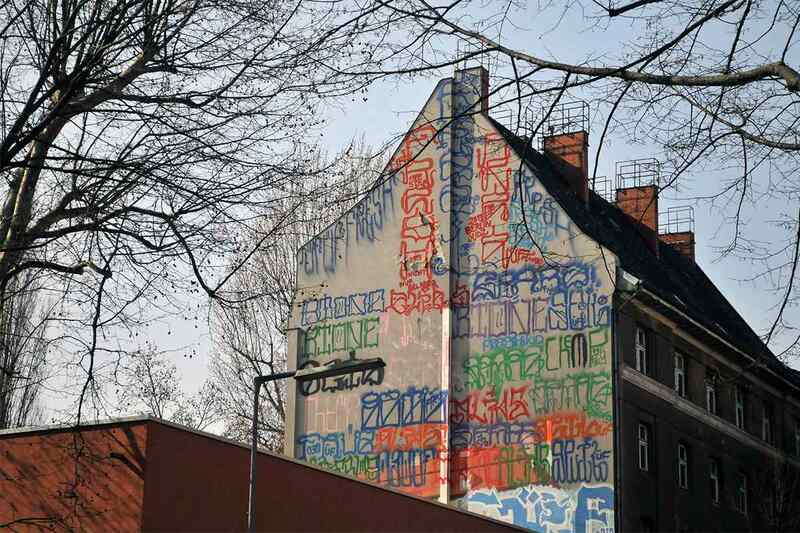 According to Tagesspiegel, which obtained a statement from an anonymous employee, the building on Bülowstrasse 7, soon to become a museum for street and urban art, is going to be “very unusual”. Except for this intriguing hint, nothing has been announced regarding the structure of the museum. While the building undergoes extensive restorations, Urban Nation team has already planned a mural painting program to fill the time period prior to the museum opening. 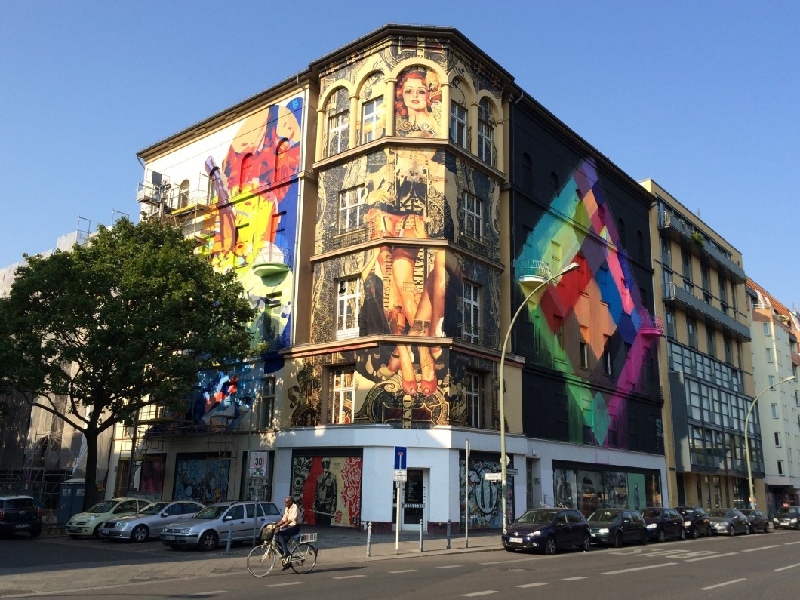 As part of their ongoing One Wall program, Urban Nation has commissioned street artists to paint on twelve buildings near Bülowstrasse in the neighborhood of Schöneberg, the street where the museum will be based. The first mural in the series is already finished, thanks to the joint effort of two Dutch artists – Collin van der Sluijs and Super A. 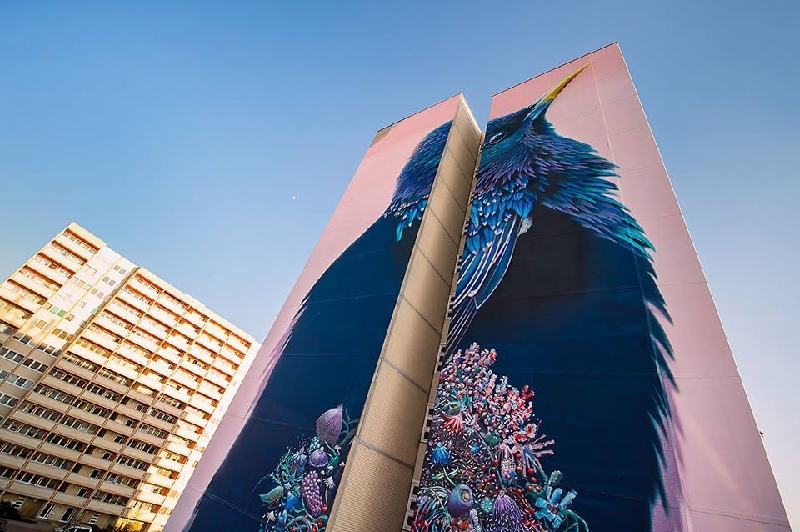 Entitled Starling, mural on two 42-meter high towers in in Neheimer Straße depicts a starling bird, a strong symbol of unity that perfectly fits into Berlin’s atmosphere and historic heritage. The sheer size of the mural I jaw dropping, and its symbolism and beauty are praiseworthy. It is also a great introduction to the mural painting project and something to enjoy while we wait for the opening of Berlin’s one of a kind Museum for Urban Contemporary Art.